What’s it about? The Call (15) introduces us to experienced 911 operator Jordan Turner (Halle Berry) on a night when her error in judgment makes one call go terribly wrong. Verdict: Can you remember the last time you gasped out loud in a cinema? For most people alongside me, The Call caused that reaction and more. Working along similar lines as films such as Cellular, Buried and Phone Booth, this movie takes the audience on a relentless journey of fear and anticipation. 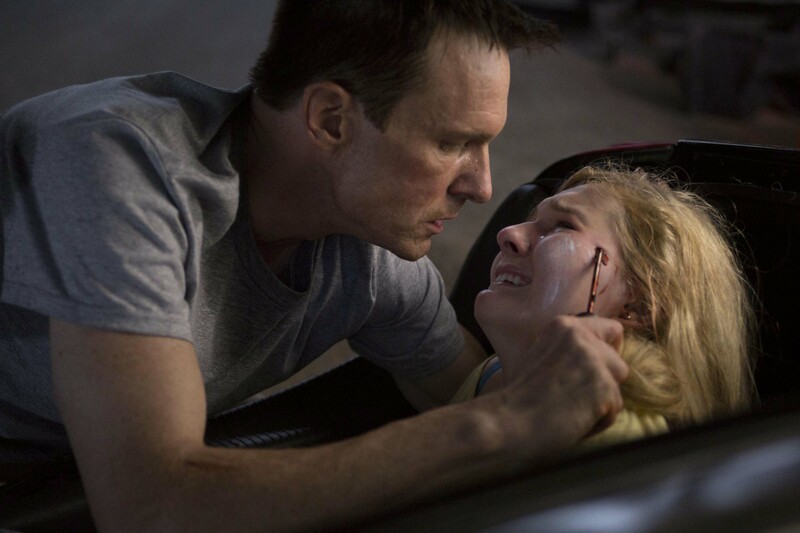 In the same way Taken won over audiences with its tense “will the victim be found in time” plot, The Call brings back everything that is great about the classic abduction thriller. The first strength of the film is that director Brad Anderson helps us enter a world we really should know more about – the work done by those who answer emergency calls. Not only does the job require quick, professional reactions, but operators are also forced to deal with calls that go wrong. From the start, you instantly sympathize with Berry’s character because none of us could imagine the weight of responsibility that comes with her job – especially when it goes wrong! The film really hits it stride once Breslin wakes up in the dark boot of a stranger’s car and dials 911. We jump from Berry and her colleagues frantically trying to find the abducted teen to Breslin delivering a fantastic performance as the young captive struggling to focus on finding a way to survive. It would ruin the film to mention any of the surprising twists that make this stuck-in-a-boot tale so riveting, but more than anything the reason this film is so enjoyable is the realism of the script. From the innocent bystanders who find themselves involved in the story to the slow revelation of why the kidnapper has committed these crimes, you believe every bit of each scenario and your heart pounds with genuine terror at the thought of how easily this could happen to someone you know. While the ending might cause an eye-roll or two, one thing’s for sure: you will leave this film with a heightened sense of awareness about anything and EVERYTHING around you. I’m still not sure if I can ever be alone in a car park again. Final words: A nail-biting thriller that will have you on the edge of your seat thanks to an engaging story that brings to light the brave work done by emergency service operators. The Call is in UK cinemas on 20 September.